Ralph David Engle was born on November 30th, 1956 in San Diego California. The six foot three, right hand hitting Engle began his career as an outfielder but was converted over to a catcher. He attended the University of Southern California & won championships on the baseball & football teams in his junior year. In 1978 he was selected as a third round pick of the California Angels. In 1979 Engle was sent to the Minnesota Twins along with Ken Landreaux in exchange for Hall of Famer; Rod Carew. With the Twins he was a team mate of his brother in law; Tom Brunansky. By 1981 he was an outfielder for the Twins hitting .258 with 5 Hrs 14 doubles & 32 RBIs. He came in fifth in the AL Rookie of the Year voting. In 1982 he was the first player to hit a HR in the new Metro Dome Stadium. Two years later in 1983, Engle was fully transformed into a catcher, he played in a career high 120 games, hitting a career best .305 with 8 HRs 22 doubles & 43 RBIs. In 1984 he made the AL All Star team, although he did not finish with as good a season as he did the previous year- .266 average. By 1985 he was moved over into a DH role due to a strange psychological arm throwing issue.He was then was traded to the Detroit Tigers. 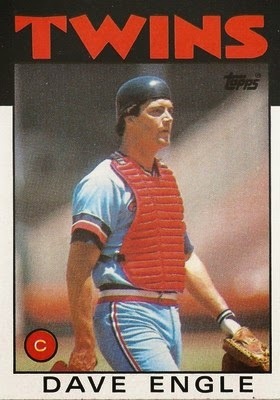 He spent 1986 with the Tigers then signed on with the Montreal Expos for two seasons as a reserve player. In his first at bat in Montreal he hit a pinch hit HR & filled in the spot of Tim Raines as he remained unsigned. He ended his playing career in 1989 with the Milwaukee Brewers. In a nine year career, he hit .262 with 431 hits 31 HRs 88 doubles & a .311 on base %. Retirement: After his playing days he began as a minor league coach from 1995-1997. He then coached at the big league level with Houston Astros in 1998. 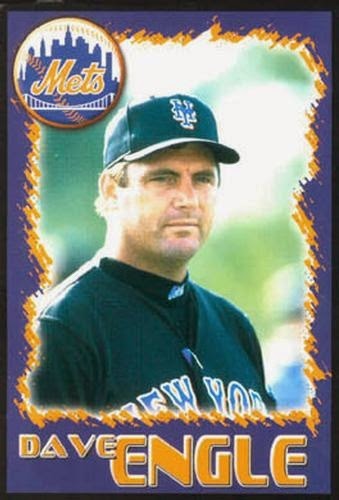 In 200 he joined the Mets organization, coaching for the A Ball St. Lucie Mets in 2000. 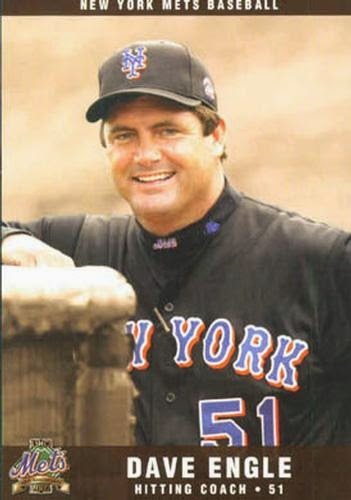 The next year; 2001 he joined Bobby Valentines staff as Mets hitting coach replacing Tom Robson. As the Mets team struggled batting a collective .249 with 147 HRs in 2001 (both 15th in the league) they made some big off season moves. The Mets acquired Roberto Alomar, Mo Vaughn & Jeromy Burnitz for 2002, but nothing worked out well & the Mets finished fifth. Engle was released from his coaching role & replanted in the minor league system. He was replaced by Chris Chambliss. Engel is currently a scout for the Baltimore Orioles.